Fixe celebrates the soul of the South with Sunday Supper served nightly in a warm and spirited atmosphere. 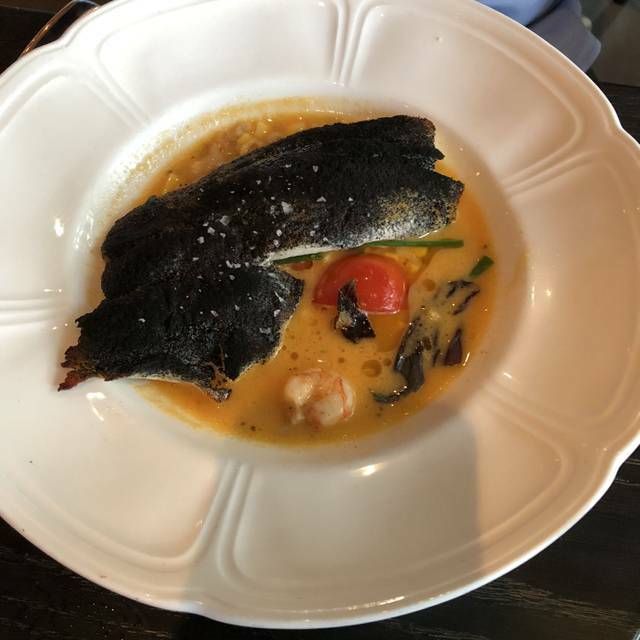 Bringing to life familiar tastes imagined in progressive ways, Chef James Robert and his team pay homage to his roots with an eye to tradition, a commitment to quality and passion to deliver our guests an unexpected and memorable culinary experience. Carolina gold rice grits, fresh autumn peas, sweet corn & red pepper chow chow, benne seed furikake. Wonderful meal!! Pretty loud but the food made up for it! Super nice service! Fixe gave my companions and myself an amazing experience, the deviled eggs were phenomenal, tuna tartare was great, the fried fish was amazing, the duck breast literally made me cry inside because of how good it was, pork chop was delicious and don’t let me get started on those biscuits hands down the best (we ordered four orders of them) . Our server was amazing she was very knowledgeable on the Menu that made the experience even better. Just got unlucky with a really dark table. I'm a young person (23) and couldn't see my menu or date across the table. I asked if they could turn the lights up but unfortunately they did not have a dimmer. Brunch was really great otherwise! Lovely restaurant. Great food and probably best service in Austin. Enjoyed the variety. They really know how to deliver grits! 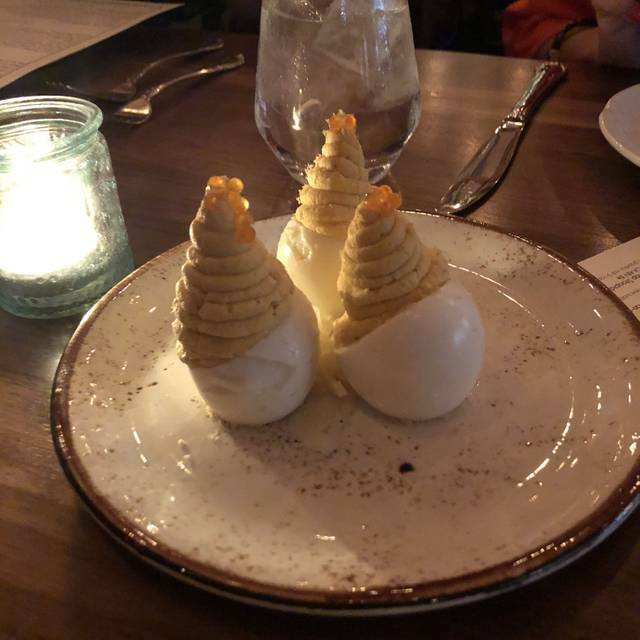 Deviled eggs a plus. Good, attentive service. Place was amazing. Food and service were great. Make sure you try their biscuits as well as the grits. The appetizers were great, ambience was nice; energetic and busy, dim lighting. The timing was fast to get our apps, but took a lot longer for the other food to come out. The entrees and sides were just OK. My expectations were probably set too high so we felt a bit let down but it wasn’t bad. Just not amazing. Would we go back? Yes but probably just to have a drink at the bar and order the delicious buttermilk biscuits and other apps. Wonderful food - you will not be disappointed! Great modern take on delicious southern food. Love the vibe! Not great when a restaurant that has steak specials can’t cook a steak to the proper temperature. Other than that, the service was good. The house made biscuits are delicious. A little pricey but that’s Austin. Won’t be back—when we want a steak, and it costs $50 or more, we want it cooked right. 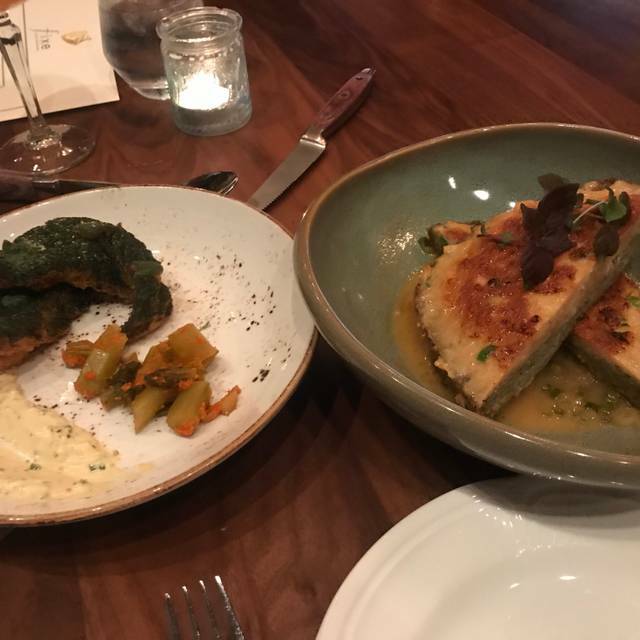 Terrific, refined, innovative Southern cuisine with awesome hospitality in Austin!! Excellent all around! Food was exceptionally delicious and beautifully presented! Service was also excellent. Waiter and hostess were knowledgeable, friendly and welcoming. Biscuits were best we have ever had. 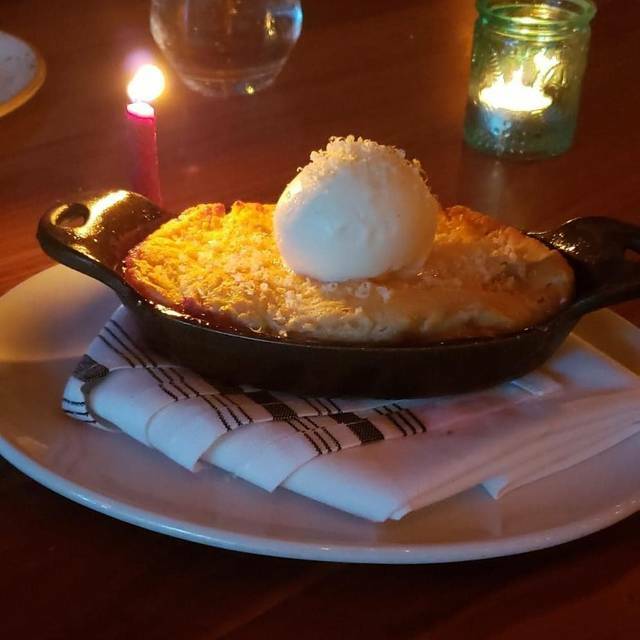 All the menu items we tried were exceptional-pork chop, pot pie, deviled eggs, mac/cheese and lemon dessert. Very creative use of ingredients and flavors which came together perfectly. A meal to remember! Atmosphere was perfect-restaurant was busy but not noisy with an elegant ambience. Highly recommend Fixe! Creative take on Southern cuisine. Met friends for dinner and it took a few different seatings to find a table we could hear each other. Once that was accomplished, enjoyed the delightful ambiance and the food was delicious as well. The men raved about their steaks and the women liked their fish. Overall, we consider it a do over! We choose Fixe’ to share with our out of town visitors. They were really impressed! And we are frequent diners for obvious reasons. Great bar- Liam! Angie did a great job taking care of us! Food was incredible, and we will definitely be back next time we are in Austin. Had dinner here for the first time last week. The biscuits and pork chop were very good, but all of the other dishes we ordered were average (the side of mac and cheese was not creamy or flavorful). The service was slow for a Tuesday night, and they didn’t do anything special for my husbands’s birthday. I came here with friends. I was in search for shrimp and grits. They did not have this on the menu but the chef said sure, no problem! Very quickly I had a plate of shrimp and grits and it was so delicious! 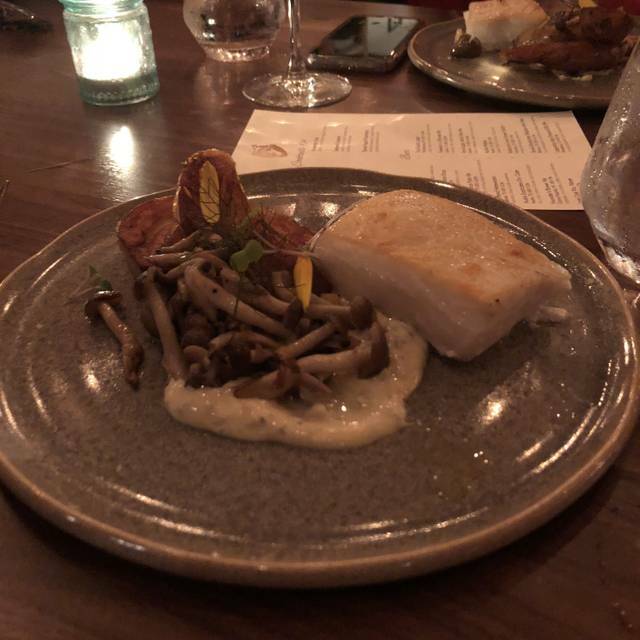 The food, vibe and service were outstanding..we would definitely go back the next time we are in Austin! The only things to complain about are the wait time despite reserving a table and the noise level. Otherwise, it was an excellent dining experience. The service and ambiance were wonderful. Great cocktails, and the best biscuits I’ve ever had. However, the other food we ordered was a bit of a let-down. Very good atmosphere for a date. The combination of the comfortable chairs, the overhead lighting, and the candlelit table setting, this was a great place for a setting the mood on a date. The biscuits are excellent. I highly recommend getting them. The staff was also friendly and gave good suggestions for drinks to pair with the meal. They also have a solid scotch/whiskey selection. Outstanding service and highly recommended for date nite! - TY for the amazing service! Dinner was delicious and we enjoyed the attention of our server Sara. Love the Deviled Eggs, Fried Spicy Catfish & Pork Shoulder! 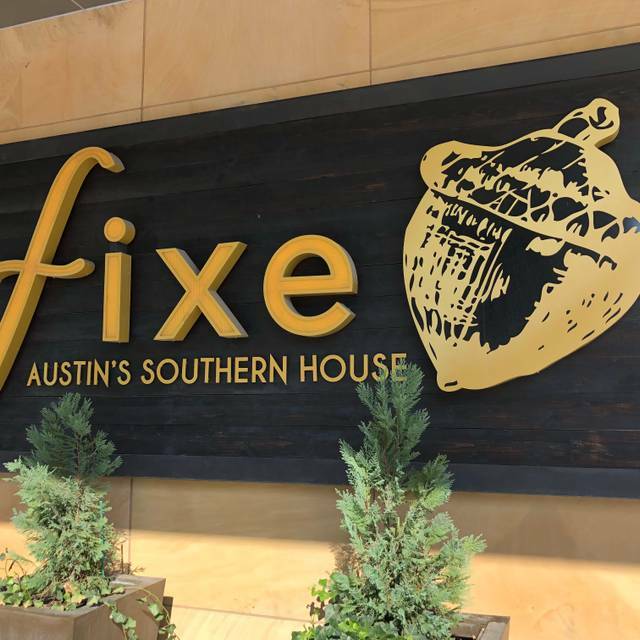 Have eaten at Fixe over a dozen times and food is always perfect. Love sitting at the bar. Staff are very accommodating and super nice. Absolutely love this restaraunt. 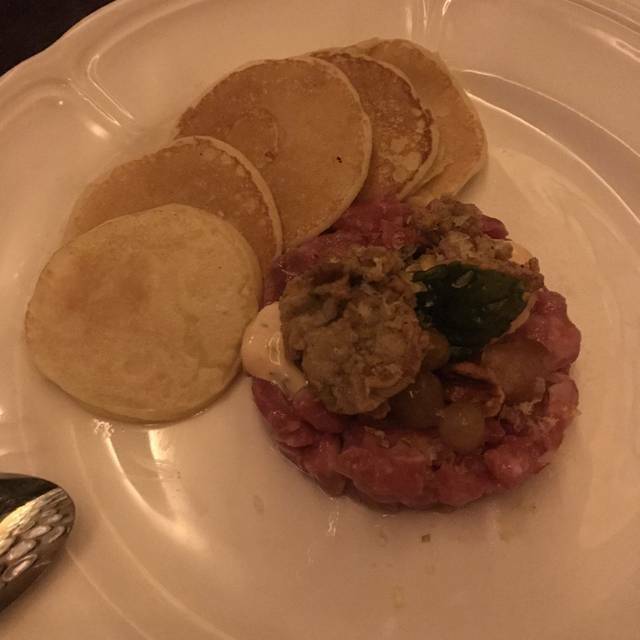 The dishes are unique yet amazing, the biscuits are a do not miss and the cocktails were great. The ambience is really nice and service was exceptional. 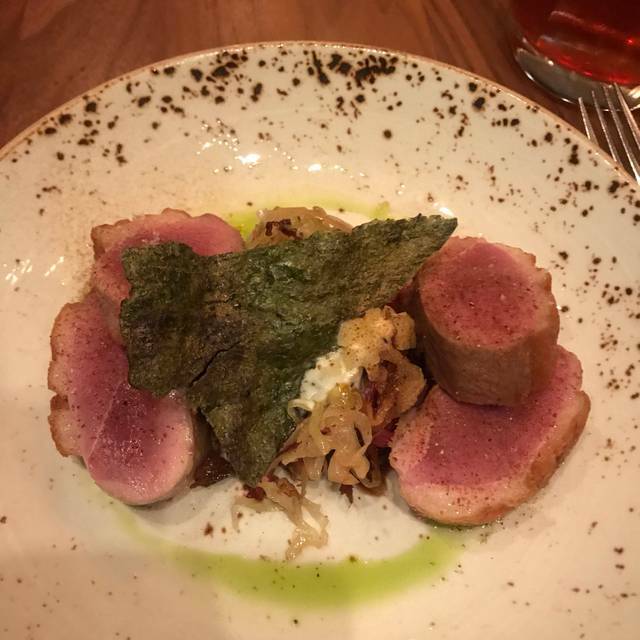 Overall, fantastic Austin dining experience! We had a great waitress that took very good care of us. We went for our anniversary and the food was outstanding, especially enjoyed their biscuits. The lobster and crawfish pie was also tasty as was the crispy catfish appetizer. I would recommend this place to those on the fence! The old head chef left two weeks ago apparently, food quality was representative of that sadly. Everything was amazing, the service was superior and our meal was prepared perfectly! 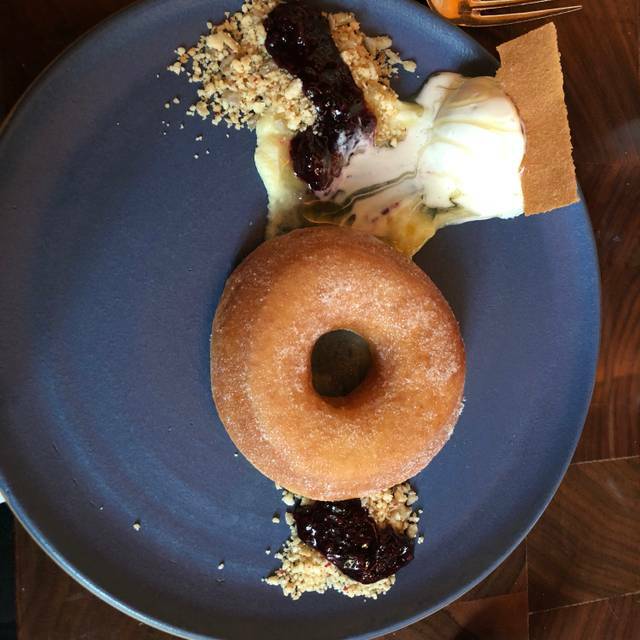 I would highly recommend Fixe to anyone looking for an amazing dining experience. My serve was amazing. He remembered me from when I came in a few days ago to just get coffee and biscuits. It was a quiet night and the staff, from the bar upon our early arrival to the table and our very late departure, took care of us well. Great food, quiet place. The restaurant itself is very pretty with a nice dim lighting. I was not impressed by the food however. My BF got the fried chicken and I got the ribeye. I tasted some of my BF’s fried chicken and honestly some of the worst tasting fried chicken I’ve ever had. The Smokey flavor was overwhelming and the chicken to batter ratio was ridiculous. The chicken was so thin! My ribeye was good, but nothing special. They did give us a free dessert because my birthday is coming up which was very nice of them! Other than I would not return to this restaurant. Great brunch! The biscuits are the best! Went here twice in one week. Once for happy hour and again for brunch. Highly recommend this place!